Europe will come up with an “adequate” response and “within days” if the newly-signed US anti-Russian sanctions law hurts the interests of European companies working with Russia, European Commission Head Jean-Claude Juncker has warned. European interests should be always taken into account when it comes to enabling new US sanctions, Juncker said in an interview to the German ARD-Europastudio Brussel. “We must defend our economic interests even against the US. And that is what we are going to do," Juncker said. “We are ready,” he added, pointing out that EU reserves the right to take retaliatory measures in case its interests are violated. He also drew attention to the fact that the newly-signed US law can have “unpredictable” consequences for the EU in the field of energy security. The new US sanctions can affect EU efforts to diversify its energy supply, particularly in the Baltic region, the European Commission head warned. Juncker recalled his own statements made during the G-7 meeting in Italy and G-20 meeting in Germany that the EU would be ready to respond within a short period of time in case the US imposes new unilateral sanctions against Russia. Pointedly though, he reaffirmed the EU commitment to the policy of sanctions against Russia and said that unity and close cooperation in the field of such policy between the G7 countries is necessary to facilitate the full implementation of the Minsk Agreements, which stipulate principles for a peaceful solution to the Ukrainian crisis. 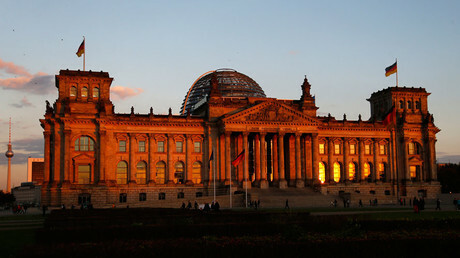 Earlier Berlin said that US sanctions against Russia violate international law. "We consider this as being against international law, plain and simple," German economy minister Brigitte Zypries said Monday. "Of course we don't want a trade war. 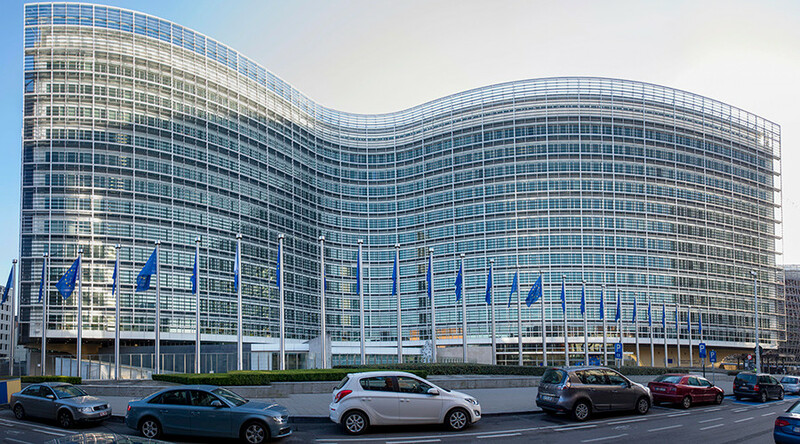 But it is important the European Commission now looks into countermeasures,” she said adding that “the Americans can not punish German companies because they operate economically in another country." 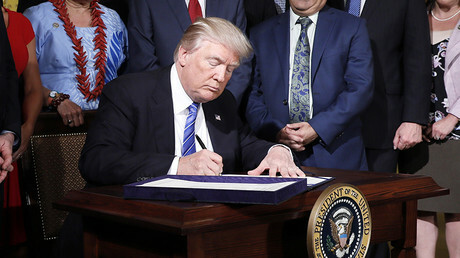 Earlier Wednesday, US President Donald Trump signed into law the bill which imposes new sanctions against Russia, Iran and North Korea and which limits his ability to ease sanctions without approval from Congress. Both Chambers of the US Congress voted with veto-proof majorities to approve the bill which seeks to punish Russia over a raft of American perceived 'transgressions', including its support for the Syrian government, alleged support for the rebels in Ukraine, as well as Crimea’s accession to Russia and Moscow’s purported meddling in last year’s US election. Following the bill’s approval by the House and Senate last week, Russian President Vladimir Putin announced that the US would have to cut its embassy staff in Russia by 755 people by September and said Moscow would also seize several buildings used by US diplomats. After Trump signed the bill into law, the Russian envoy to the UN, Vassily Nebenzia, said Russia will not “bend or break” over US sanctions and will not change its policy. He said that Moscow will, however, continue to look for ways to cooperate with the US on issues such as Syria.